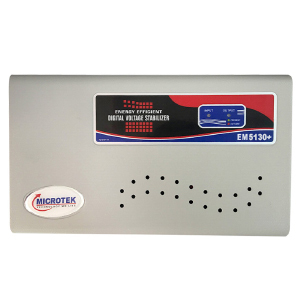 Microtek EM5130 Plus digital voltage stabilizer is best suited for 1 AC of up to 2.0 Ton capacity. The working input voltage range is 130V~300V. Unlike the other voltage stabilizers for AC currently available in the market, this product is small in size and looks quite attractive. Smart time Delay Feature provides breathing space & stabilizes the power before supplying to the load, hence increases the life of appliances. MICROTEK Digital Voltage Stabilizers are based on SAVE POWER Technology, and have many Unique Features which enable them to give High Performance, Better Reliability and SAVE Electricity. 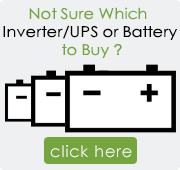 MICROTEK has complete Range of Energy Efficient Digital Voltage Stabilizers for Air-Conditioners with various working Input Range, suitable for all kinds of Power and Voltage Conditions.